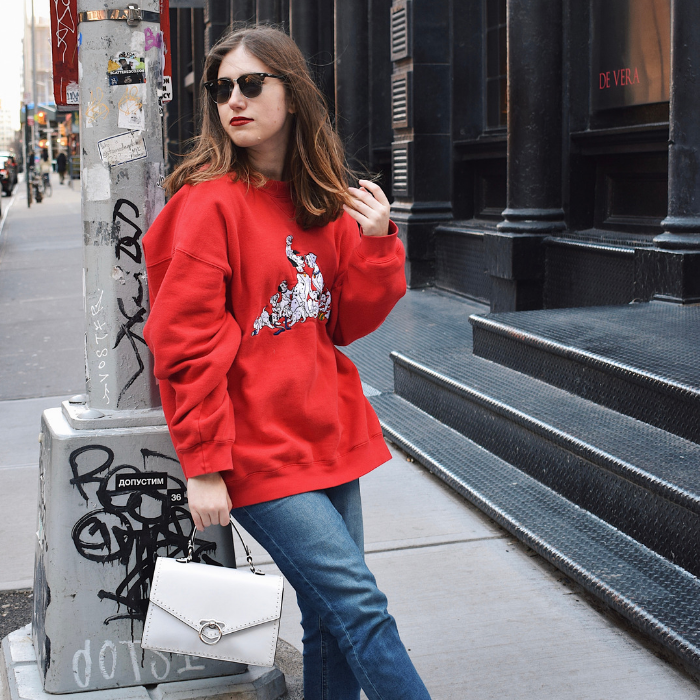 Ever since brands like Glossier and Milk Makeup took over the beauty-sphere, dewy looks have been having a moment. Achieving a dewy look, however, is easier said than done. One product too many can leave you looking like you just left the gym instead of getting kissed by the rain. 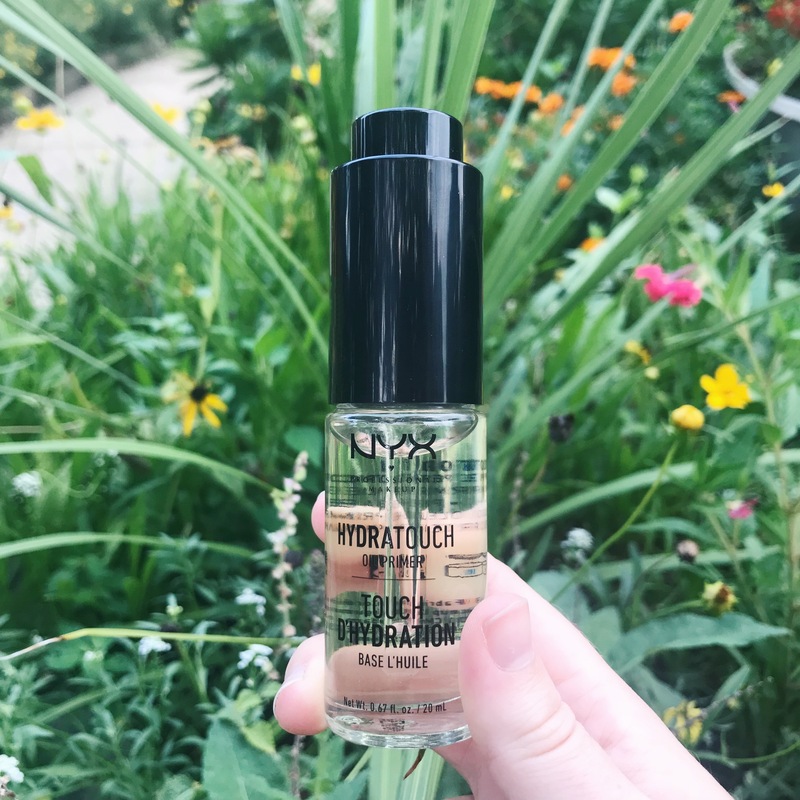 You guys know I don’t normally write a post on a single beauty product, but this oil is just SO good it deserves its own feature. 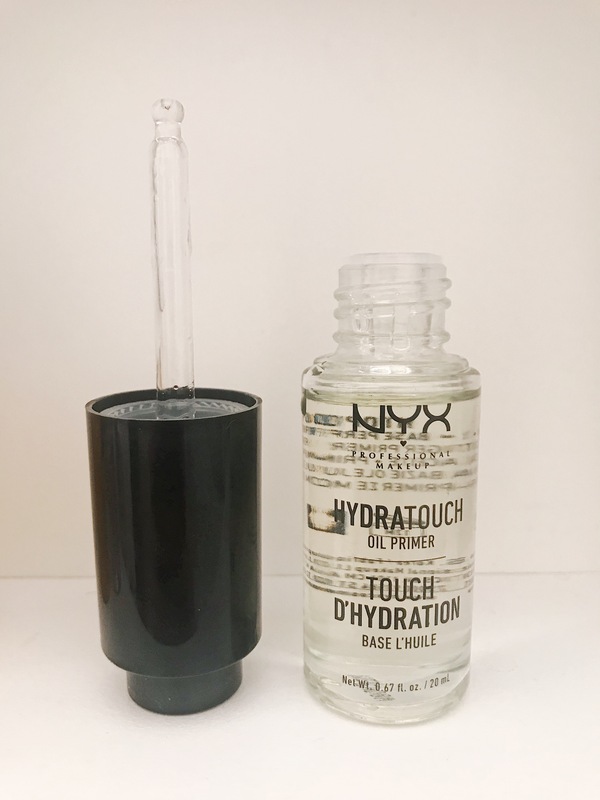 Enter: the NYX Hydra Touch Oil Primer. 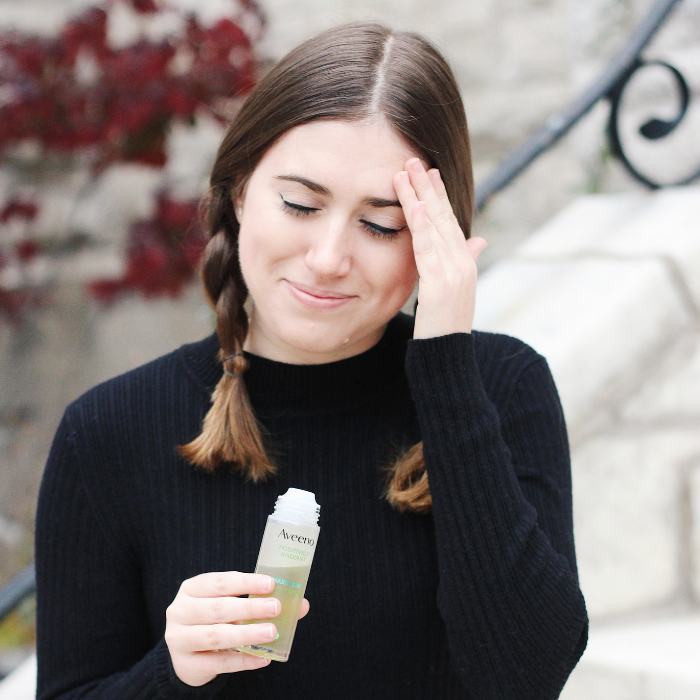 Believe it or not, before I tried this life-changing oil, I had only tried two other primers previously: one mattifying, one pore-blurring. Neither wowed me in a big way. I honestly can’t really explain how I picked this NYX product out of the crowd. The packaging isn’t super attention-grabbing, and I wasn’t even looking for a face oil. I was just casually browsing my local Ulta and somehow this ended up in my shopping basket🤷🏻‍♀️. But WOW am I glad it did. The key ingredients are jojoba and almond oil, which means that this oil is not only healthy for your skin, it smells incredible. The 20 mL bottle comes with a dropper inside and a little product goes a lonnng way. Each morning, I put one drop on my forehead, one underneath each of my eyes, and another on my chin and that’s PLENTY. The oil then seeps into my skin and gives me an immediate dewy glow. But wait, there’s more. To cover my dark circles and breakouts, I use the Clinique Beyond Perfecting Concealer, which is full-coverage (a.k.a. thicc). Before I integrated the NYX oil into my daily routine, blending my concealer into my skin was quite the challenge. It was cakey and tough to spread around, even with my eye cream and moisturizer as a base. With this oil, even the thickest of concealers glides onto skin like a dream. My skin looks both airbrushed and natural at the same damn time. 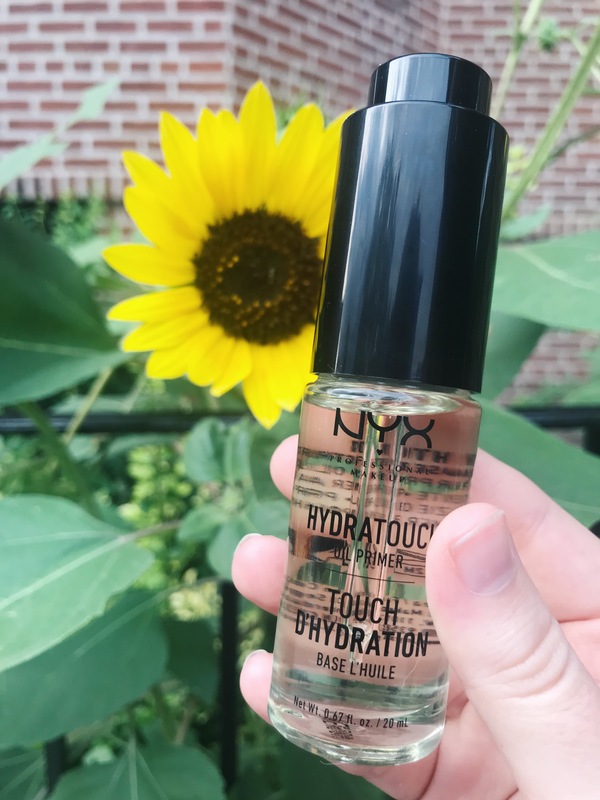 If you have dry skin, struggle with applying your concealer/foundation, want that trendy ~dewy~ look for not a ton of money, or all of the above, this oil will solve your problems. Your skin will thank you. Is there a beauty product that changed your daily routine? Are you into dewy or matte looks? Do you use any primers or facial oils? Leave your thoughts below in the comments! I struggle with applying concealer, so this sounds like something I should try! My face is naturally oily and I prefer a matte look so sometimes is difficult to do it. I don’t wear much makeup because I hate to feel my skin heavy. Although that face oil sounds amazing! I’ve been switching up my skincare/makeup routine because I have very acne prone skin and I recently started oil cleansing so I definitely want to check this out! I’ve never tried a face oil! NYX products are such good value though – I’m gonna check this out! This definitely looks like a hidden gem! 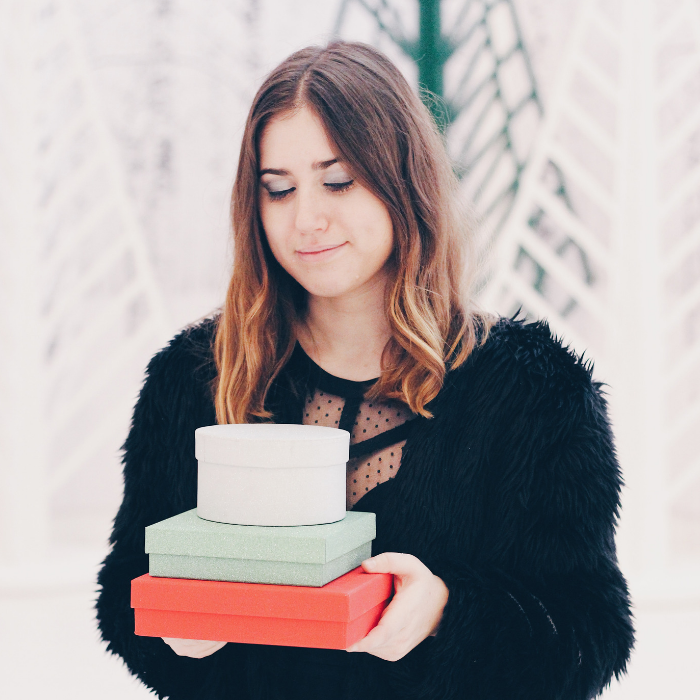 I don’t really love overly matte OR overly dewy products – I prefer somewhere in between, which makes it tough to find makeup! But I love any good CC cream with medium coverage! I legit never wear makeup. I have never been good at it and I don’t really like it. My skin is super sensitive and it gets so itchy and dry! I’ve never even heard of this before! I’ve had similar experiences with primers like you – I’ve only tried two (also pore-blurring) and they were just fine, but nothing spectacular. I really want to try this! 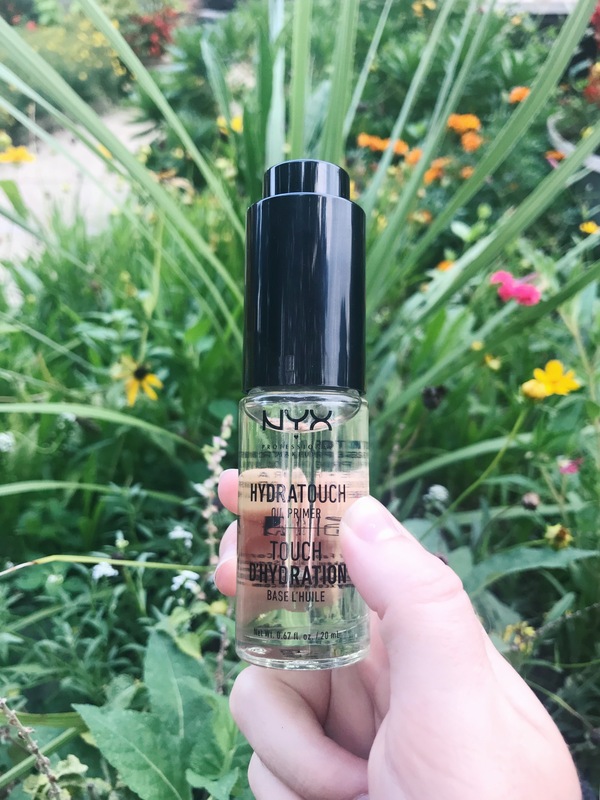 I’ve generally had good experiences with NYX products! beauty oils are one my favorite beauty secrets – they work wondersQ! This is so exciting to hear! I’ve been looking into different facial oils and found a few I love but this one is so much more affordable! Gotta try it out! This sounds awesome! Love trying new beauty products. Sounds like straight up beauty in a bottle! I’ll totally have to check this product out next time I’m in the makeup oil. Sounds like it’s amazing!